The start of another NFL season seems like a good time to consider the impact of the 24-hour sports cycle, gone bonkers at the moment thanks to the Ray Rice media circus. The fact is, it is increasingly difficult to find a bar, pub or tavern that hasn't jumped on the sports bandwagon with large TVs and related promotions. Don't misunderstand. I enjoy televised sports as much as the next person. I'll often go where I know I can watch a game while drinking a tasty malt beverage. But there are limits to what I will tolerate when it comes to non-stop buzz. Fortunately, not everyone has joined the sports stampede. 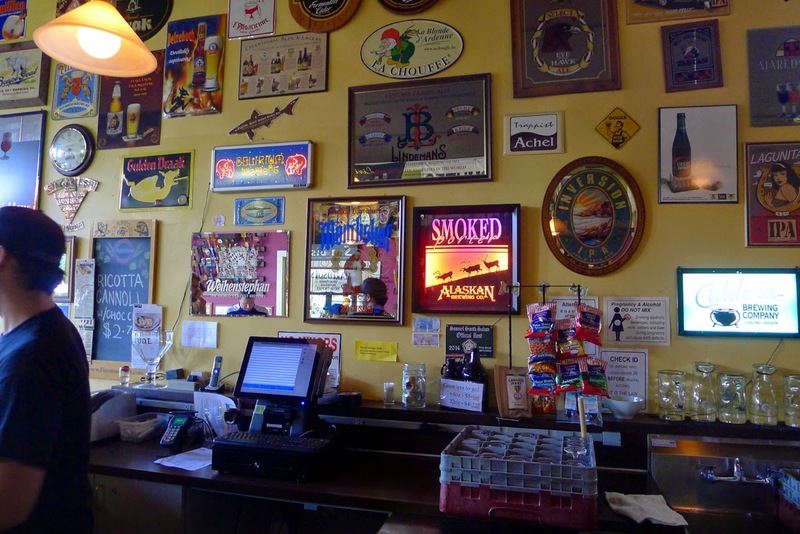 There are still a few places that have a retrograde view of what a pub is or ought to be about. Belmont Station is a good example. They offer great beer in a space void of TVs, which opens up the opportunity for conversation uninterrupted by visual distractions. Imagine that. Looking back, the proliferation of sports-themed joints linked to craft beer is a relatively recent phenomenon. As far back as the 1970s, lots of watering holes had small TVs, often behind the bar, that were switched on to track live games and scores. That's a far cry from the non-stop barrage of giant screen banality we see today. 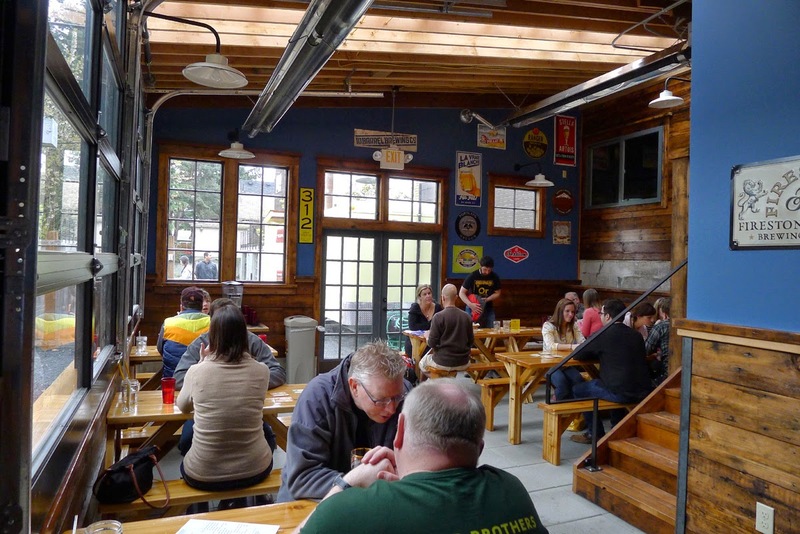 The thing is, sports TV did not play a significant role in the early development of brewpubs and breweries, most of which chose a more traditional pub approach. That rationale has been turned on its head today, as a long list of places has caved to the sports craze. Part of what's driving this reality is the glut of sports programming looping around the clock on countless channels. If you go back 10-15 years, there weren't all that many options for live games and you didn't have multiple ESPNs and other channels endlessly hawking highlights. My guess is owners and managers hop on the bandwagon because they'd rather not risk alienating the crowd that craves sports and entertainment. Shrinking attention spans mesmerized by non-stop moving images are a factor in this, for sure, but never mind. Marshall McLuhan isn't in the house. I always wonder what differentiates places like Belmont Station from the countless joints that feature a barrage of sports programming. What mindset causes them to go against the flow? 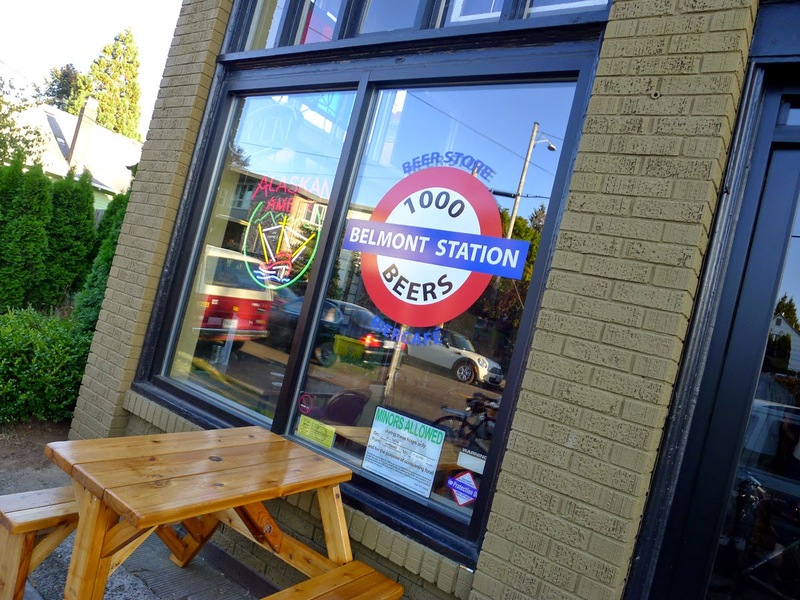 I put that question to Belmont Station co-owner, Lisa Morrison. We want to offer a place where the art of conversation can mingle with the enjoyment of a fine beverage. We have so many technological distractions in our lives. Our goal is to offer a spot that can take you away from that for a while and bring people together. And if you want to watch a game or whatever, you can do that on any number of personal devices. We even provide complementary WiFi. 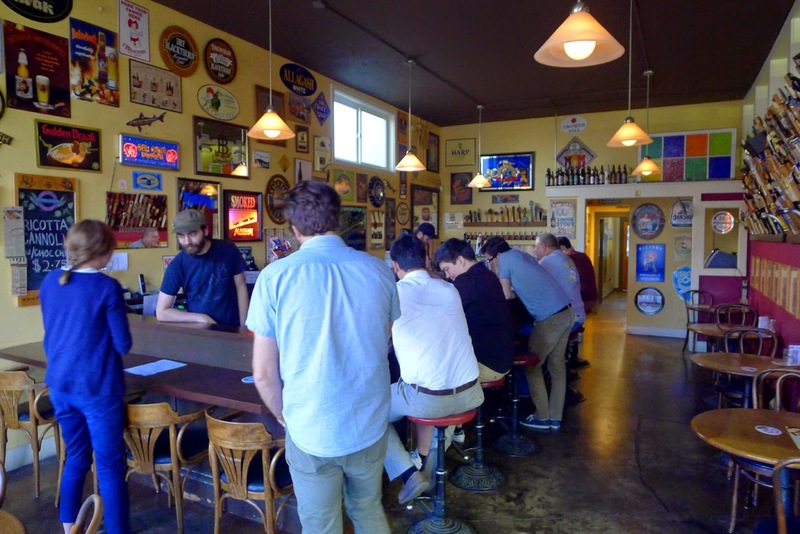 On any given day, you'll find people hanging out in the bier cafe, occupying tables on the sidewalk out front or sitting in the more recent addition in the rear. They're enjoying beer and conversation, usually. You occasionally see people staring at a laptop, tablet or phone, but mostly there's just a lot of talking and social drinking. There's every reason to believe the sports craze will continue to infiltrate places that are new or haven't yet jumped on the bandwagon. Places like Belmont Station are the increasingly rare alternative, for those who want a more traditional experience. It's too bad there aren't more of them.